We had a going away party for Drew and his friend before they deployed to Iraq in April. sgt. 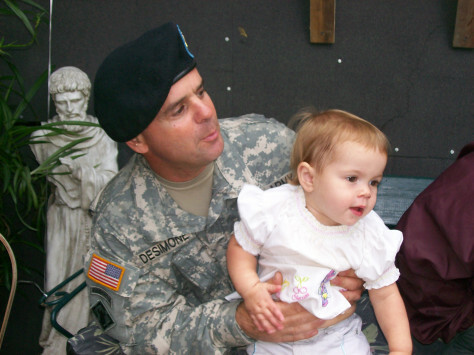 desimone with his grand daughter katrina on august 19 a day before he got deployed to iraq. 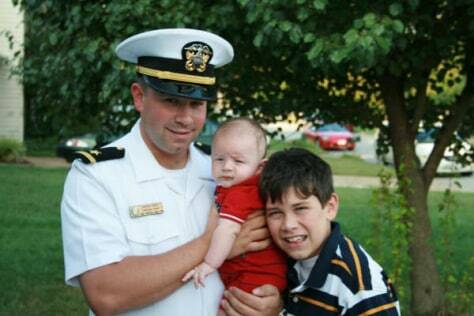 As a parent of a Marine, we can tell our stories all day long. However, unless you serve our country, have served our country, or love someone who is serving our country - our world will never be understood by those on the outside looking in. My son's name is Staff Sgt. Justin D. Miller, Apache Troop, 4/9 Cavalry, 1st Cavalry Division. His wife's name is Wendy and his daughter, age 3, is Aliyah. 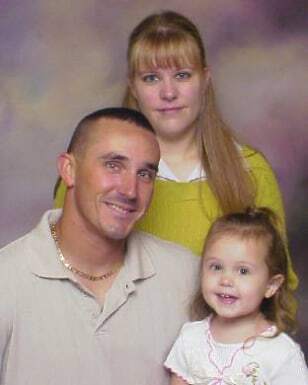 The family photo was taken just before he left for Iraq. My very brave Son, Sgt. 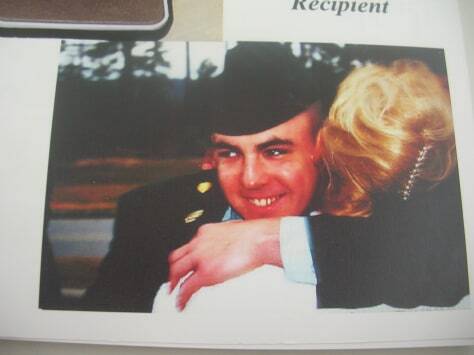 White, 82nd Airborne, hugging me, his mother, Beverly Perlson. 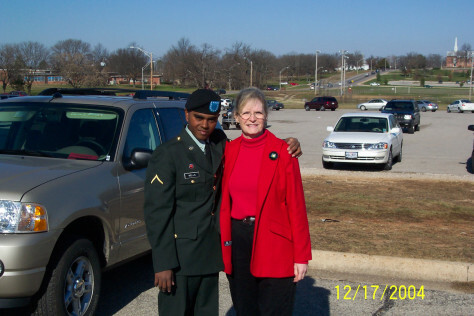 The picture is Mike with his mother. Mike is from India. 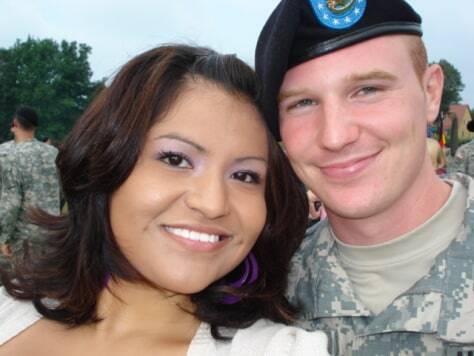 My husband is stationed in Baumholder, Germany, and was deployed to Hit, Iraq in January, 2006. 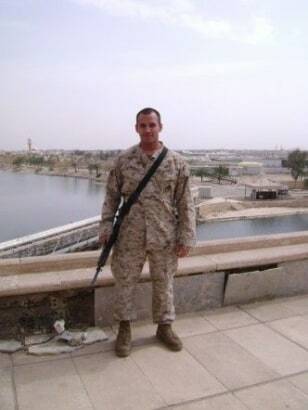 He returned home on February 10, 2007, after being gone 13 months. We have 2 boys, a 9-year old and 2-year old. I think being stationed overseas proved to be more difficult on myself and the children as we didn't have the luxury of being able to see our families on a regular basis. I truly was a "single mom" for 13 months. My husband was in a really dangerous area where they experienced poor living conditions and poor communication with family. 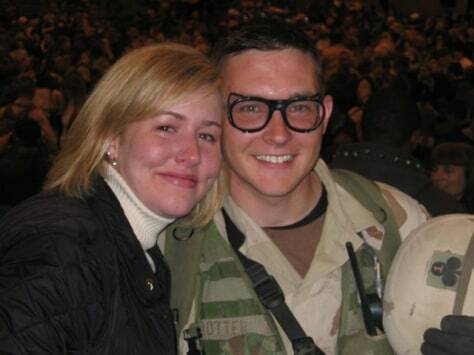 He was a victim of numerous IED attacks, the worst one being in September 2006. 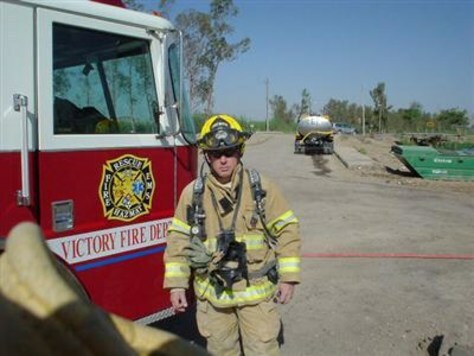 He was airlifted to a nearby hospital and spent a week there before being returned to duty. Upon his redeployment back to Germany, he was told he suffered from a fractured vertabrae as well as a degenerated disk (from carrying around all of that heavy gear for so long). He is now waiting to have surgery on his back. 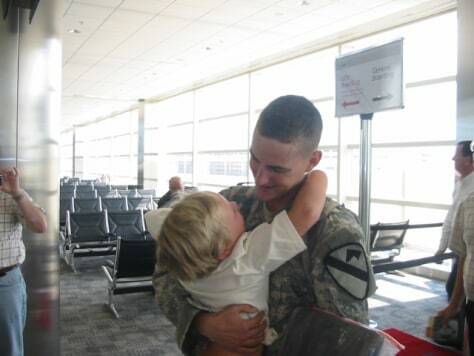 His unit is expected to deploy again after Christmas. This was the first picture taken as we were all reunited. I love how our youngest son is just staring up as if he's dreaming and can't believe his daddy is really standing in front of him. 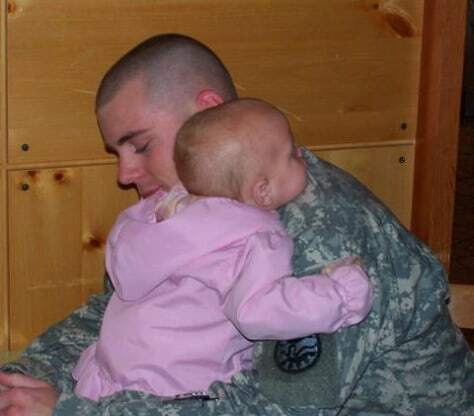 This picture is of my 20 year old brother leaving for Iraq and saying goodbye to his 18 month old baby girl.